Congratulations, ladies, I will be in touch! Thank you to everybody who dropped by to read the guest post, those who commented, and of course, big thanks to Debra for providing a giveaway. If you are curious about the book, you can read my review of it here and the blurb is below. The book is available to buy now! If I Loved You Less by Gina Welborn, based on Emma; A prideful matchmaker examines her own heart when her protégé falls for the wrong suitor. Refinements by Anita Mae Draper, based on Sense and Sensibility; A misguided academy graduate spends the summer falling in love . . . twice. One Word from You by Susanne Dietze, based on Pride and Prejudice; A down-on-her-luck journalist finds the story of her dreams, but her prejudice may cost her true love . . . and her career. 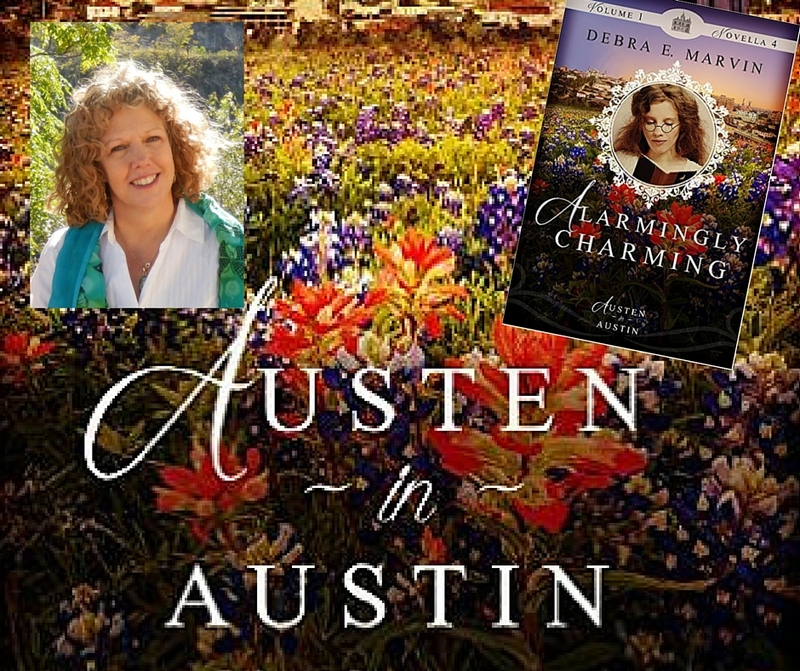 Alarmingly Charming by Debra E. Marvin, based on Northanger Abbey; A timid gothic dime-novel enthusiast tries to solve the mystery of a haunted cemetery and, even more shocking, why two equally charming suitors compete for her attentions. 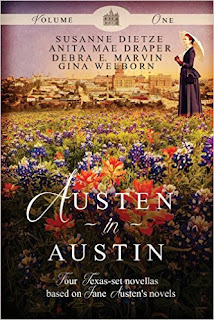 Recently Debra E. Marvin joined me for a guest post and giveaway of 'Austen in Austin', an anthology that Debra has contributed a story to. The giveaway of a paperback of the anthology for US entrants and an ebook, open to all entrants is open until the end of the day on Monday 30 May so please comment on the giveaway post to enter, and for a bonus entry, leave a comment on this review too. Today I am pleased to welcome Debra E Marvin to the blog. Debra has written a short story. 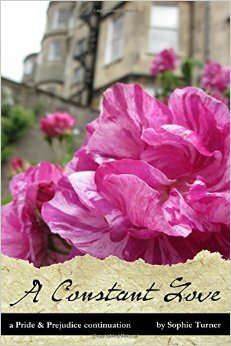 'Alarmingly Charming', in 'Austen in Austin' Volume 1. 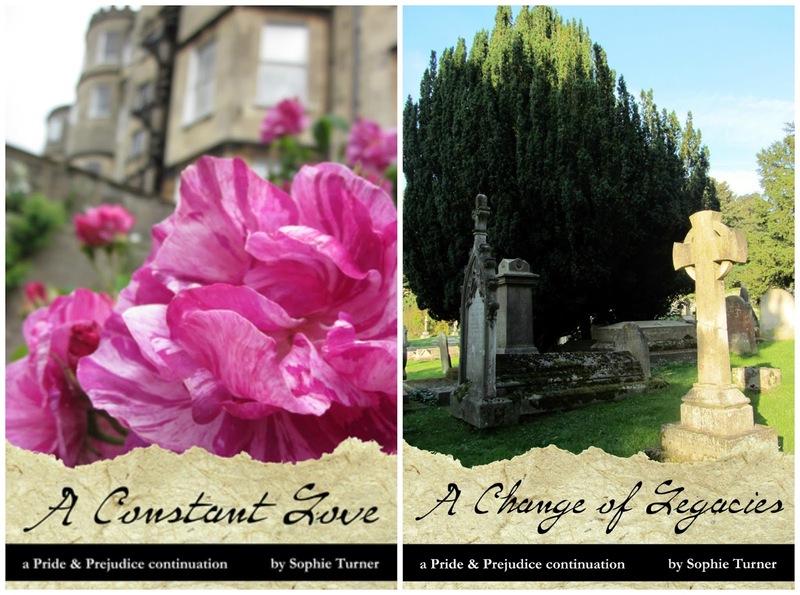 This is a set of four novellas each based on a different one of Austen's stories, all set in the past in Austin, in Texas. Debra has a guest post for us relating to her view of Austen's cleverness, and is kindly offering a giveaway of the 'Austen in Austin' book to a commenter here. Read on for more details! This is the second book in the ‘George Knightley, Esquire’ duology. 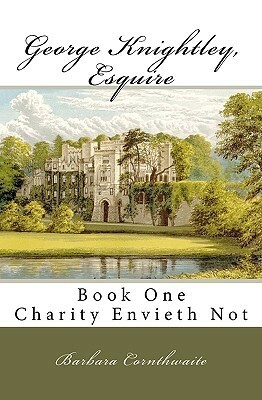 You can see my review of the first book, ‘Charity Envieth Not’ here. Since this is Jane Austen’s ‘Emma’ from Mr Knightley’s point of view, and this is the second book of the series, the following review may contain spoilers for ‘Charity Envieth Not’ as well as ‘Emma’. I would strongly recommend reading ‘Emma’ before reading this series. Now that we’ve got the warnings out of the way, let’s crack on with the review! 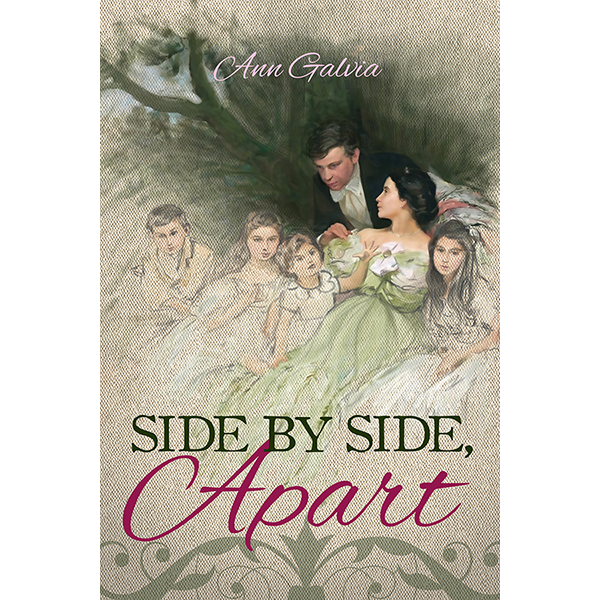 Today the blog tour for author Ann Galvia's debut novel, 'Side by Side, Apart' drops by for my review. Read on to see what I thought of the story, and for links to other stops on the tour where you can find out more about the author, the story and even win a copy of the book for yourself. Congratulations to you Sheila! I will be in touch to find out your choice of book and choice of format. 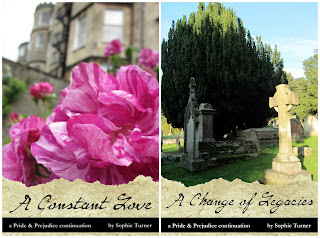 Thank you so much to everybody who came by to read the post and comment and huge thanks to Sophie Turner for her guest post and for offering a giveaway. 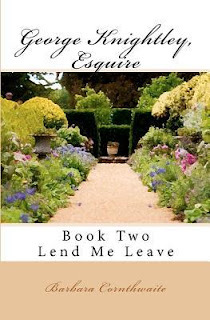 Elizabeth Bennet finds the joy of her marriage and honeymoon are followed by the demands of becoming Mrs. Darcy, all while helping her shy new younger sister come out into society. Georgiana Darcy must deal with more suitors than she expected, when she fears nothing more than once again being persuaded to think she is in love with the wrong man. 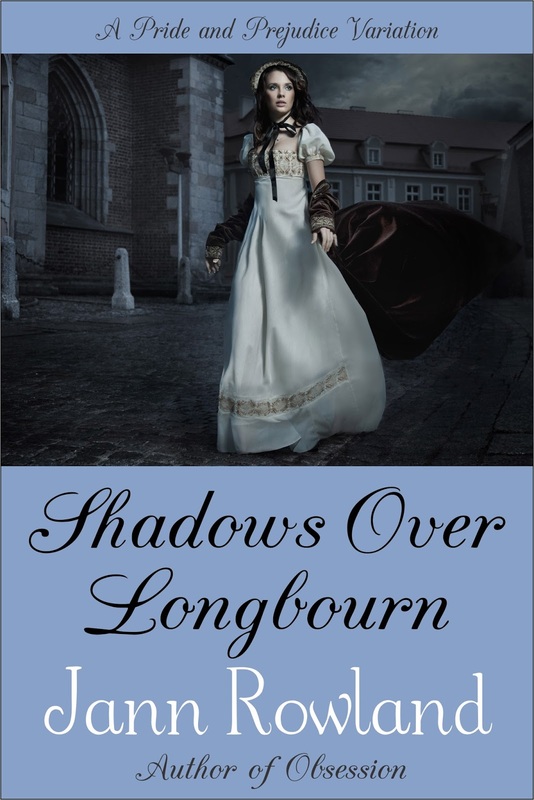 Meanwhile, for the first time, Mary Bennet finds herself romantically interested in a man, but will her own character and his family get in her way? A story of love and family; the sequel to A Constant Love. The blog tour for Renée Beyea's book, 'A Fine Stout Love and Other Stories' stops by here today. 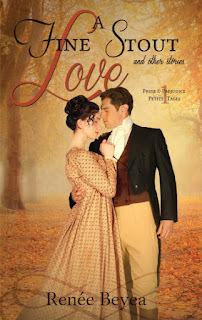 This is the first in a collection of Pride & Prejudice Petite Tales. The second volume, “What Love May Come and Other Stories,” will be released winter 2016. 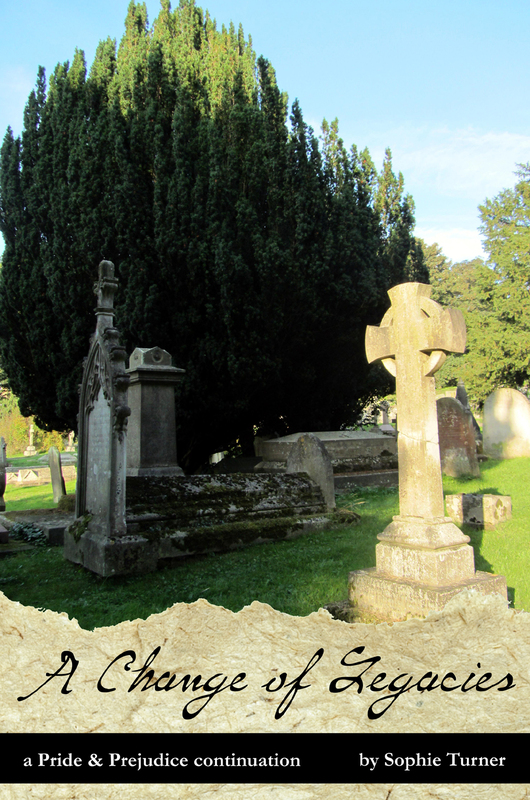 We have a guest post from Renée on why she writes short stories. There's also a chance to win a copy of the book for yourself. Read on for more details! Recently I was lucky enough to have two authors visit, and both of them were so kind as to offer a giveaway to readers here. 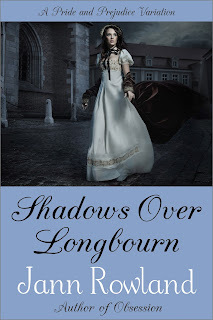 Firstly, we had Brenda Webb visit with an excerpt of her new book 'Darcy and Elizabeth - A Promise Kept', and Jann Rowland also visited with an author interview and excerpt of his new book 'Shadows Over Longbourn'. Winners have been chosen randomly for both giveaways and I am pleased to announce them here today. Ladies, congratulations to all of you! I will be in touch. 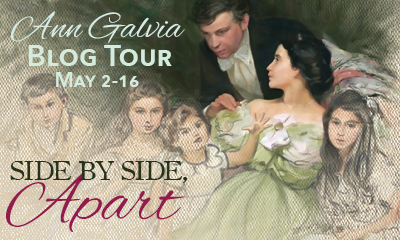 Thank you to both Brenda Webb and Jann Rowland for offering giveaways, to Claudine from the JustJane1813 blog for arranging the blog tour for Jann's book and of course, to everybody who visited the posts and commented. Although the weather doesn't feel like it's May, it's the first of the month already, so I wanted to share with you some of the things I have lined up for this month. 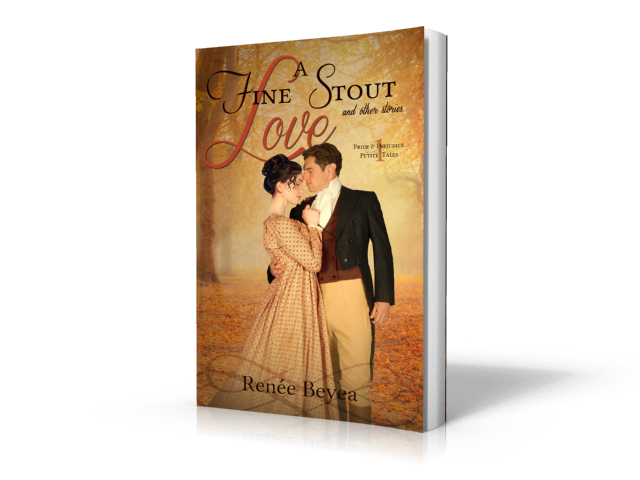 The blog tour for Renée Beyea's book of short stories, 'A Fine Stout Love and Other Stories' drops by with a guest post from the author and the chance to win a copy of the book for yourself. Though I enjoy reading novels, when life is busy sometimes you need something you can dip in and out of, so I am pleased to see a new collection of shorter tales and I'm looking forward to reading this. I am also taking part in the blog tour for Ann Galvia's 'Side by Side, Apart'. This is a 'Pride & Prejudice' sequel with an interesting premise; Elizabeth Darcy, wife of Fitzwilliam Darcy for over 10 years awakes from an accident that has left her with amnesia. She has no idea why she would have married Darcy - he's the last man in the world she could imagine marrying! She has four children that she has no memory of and one more on the way. It must be both distressing and confusing for poor Elizabeth, and indeed for poor Mr Darcy too. This story was published as fanfic under the title of 'Bruises' and I have heard that it is well worth reading so I'm also looking forward to this one. 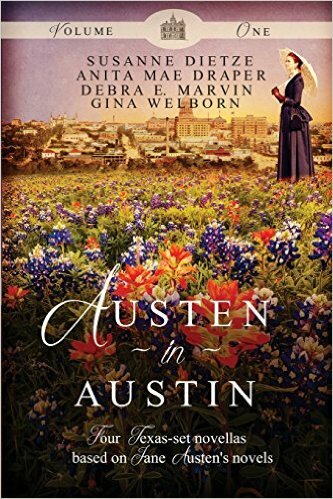 I have another collection of short stories to read as well; 'Austen in Austin' Volume 1 - this book has a collection of four short stories, each by a different author (Gina Welborn, Anita Mae Draper, Susanne Dietze and Debra E. Marvin), and each based on a different Austen novel. The stories are all set in Texas and I believe they are all historical reads. If you are a regular visitor here at Babblings of a Bookworm you may have noticed that April was a very busy month with lots of visitors. I have written up some reviews which I haven't shared with you yet as it was hard to fit them in, so I plan to share those with you this month. I also have a load of reading to catch up on, so I really hope I can make time for that! What reads do you have planned for May? Have you read anything lately that you'd like to recommend? Let me know if there is anything I really need to add to my to be read list!